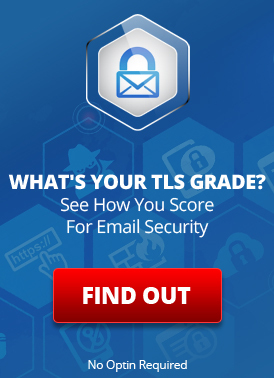 EML is a standard file format for saving a single email message. These types of files can be exported from many different email systems. However, once you have them — how can you then view them? There are many ways to open and read .eml files. Now, you can also import these files directly into your LuxSci email folders though our web interface. Once imported, they show up just like all of your other regular email. Choose “Import Messages” in the pop-up dialog box. (Modern browsers) Selecting them from your desktop or computer’s file manager, drag them and drop them in the “Drop files here” area of the import dialog. (Old browsers and IE v9 or older) Click on the “File input” fields and select your .eml files individually. Press the “Import button” and the files will all be uploaded and appended to the email folder as email messages. You can then click on these messages to view them, access attachments, or even forward or reply to them. 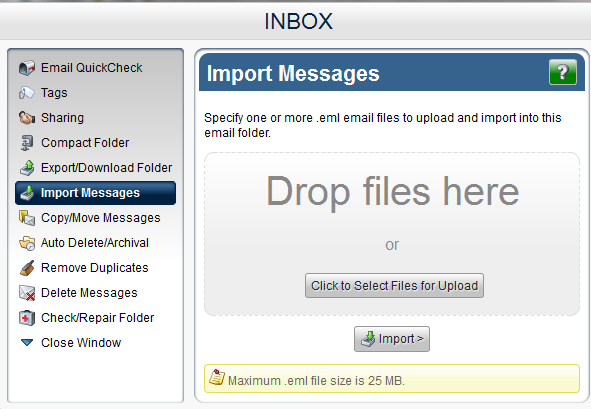 Message-by-message: Select the message(s) to export in WebMail and choose “View > Download Message(s)” from the menus. When selecting multiple messages to download at once, you will need the JAVA plugin for your browser for saving the multiple files. Entire Folder: Back in the “Folder Properties”, you can choose “Export/Download Folder”. Following through with that will give you a ZIP file containing .eml files for all messages in the folder. While you can copy messages from one folder to another by dragging and dropping in your IMAP email client or WebMail. You can also do it by exporting the messages as “.eml” and then later re-importing them. This entry was posted on Thursday, August 22nd, 2013 at 9:26 pm	and is filed under New Feature Announcements. You can skip to the end and leave a response. Pinging is currently not allowed.